Off the back of a consistent start to the new Ginetta GT Supercup season at Brands Hatch, Century Motorsport’s James Birch was keen to improve on his opening weekend performances as he acclimatises to his new mount for the 2013 season. Both James and the team were confident of a notable improvement during the weekend after some rewarding pre-event testing results. Qualifying proved to be a challenging run with two red flags breaking up the session. Struggling to make his tyres work during the early stages and having his quickest lap compromised towards the end resulted in starting a lowly ninth for race one. James got a good start for Saturday afternoon’s race one, holding his ninth position just ahead of Jamie Orton. Over the next series of laps James set about reeling in Matt Nicoll-Jones for eighth position until the safety car was deployed on lap nine to recover the stricken Ginetta G55 of Andrew Watson. With the pack now bunched up for what effectively became a four lap sprint race to the finish, James restarted well and was right with Carl Boardley who was now just in front of him in seventh. Over the next series of laps James tried several moves to get past the former Hot Rod Champion and almost made a superb pass in a drag race to the line but was just pipped at the flag to finish eighth. Sunday morning’s race two was once again met with fabulous sunny blue skies and dry weather track conditions. Having finished eighth in race one this would also be James Birch’s starting position for the race. Off the line James was now side by side with Fergus Walkinshaw into the first corner with the latter just taking the advantage. Before James had time to set about taking the place back he was now coming under pressure from Marcus Hoggarth who found a way past on lap four. 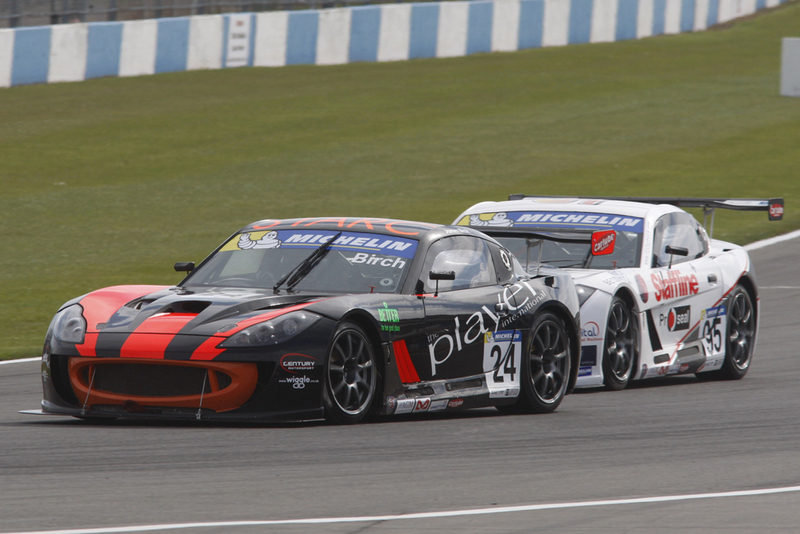 Now running in tenth, James was promoted to ninth when Walkinshaw retired his Ginetta G55 to the pits. Marcus Hoggarth slipped off into the gravel promoting James to eighth and with some clear track to reel in Mark Davies who was slowing up ahead as he was locked in battle for sixth. As the chequered flag fell James crossed the line eighth just short of passing Davies. Race three on Sunday afternoon had been threatening rain that never materialised. A superb start off the line promoted Birch to fourth at the end of the opening lap. Now under pressure from both Andrew Watson and Tom Ingram, James got his head down and opened a small margin over the pair who now started to battle with each other for position. By the sixth lap Ingram was now putting Birch under serious pressure for position but James was doing a fantastic job to defend his fourth position. 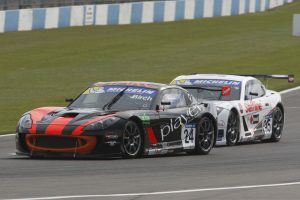 On lap nine Ingram mounted a challenge down the main straight and found a way up the inside of Birch at Redgate corner demoting the latter in theplayer.co.uk supported Ginetta G55 to fifth. Crossing the finish line James sealed his best result of the season so far with fifth position. Speaking on Sunday evening, James commented: “I’m very positive coming away from Donington Park. Having myself not anticipated the amount of red flags in qualifying, we were disappointed to be starting at the back of the pack. Over the weekend I felt we had the outright pace to challenge for a podium position. Over the 3 races, I managed to move forward up the grid, having a very enjoyable and positive final race of the weekend. I have certainly got used to the Ginetta Supercup definition of ‘rubbing’ and know that both the car and myself are as competitive as anyone. I have really started to gel with the car and I cannot wait to get back behind the wheel at Thruxton where I hope to improve on my best finish of the season so far this weekend. The Ginetta GT Supercup moves to Thruxton next on Saturday 4th & Sunday 5th May for Rounds 7, 8 & 9 of the championship.